In the summertime especially, I love the effortless waves that I get after a day at the beach or lake. Even better is when we’re at the ocean and you get that beautiful beach wave just from being in the salt water! 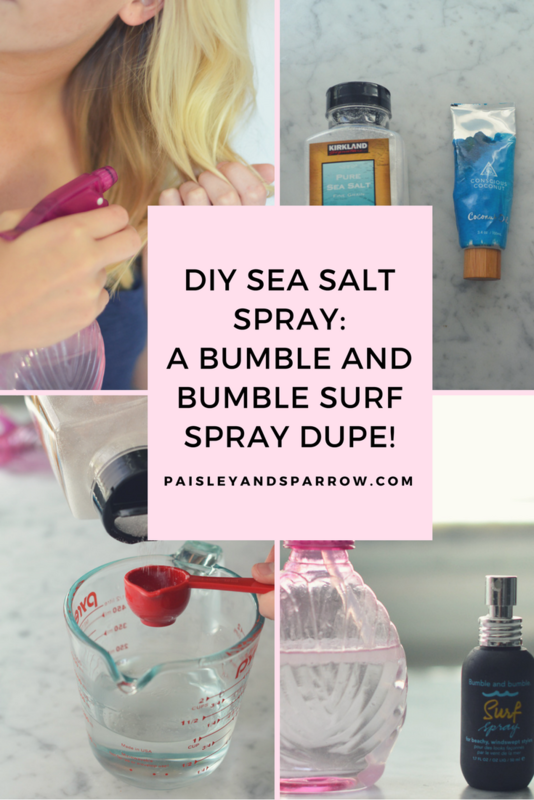 I’ve been using Bumble and Bumble’s Sea Salt Spray for years and wanted to share a super easy tutorial for your own DIY Sea Salt Spray that’s texturizing and gives you that beachy wave like you get from the ocean! Sea salt sprays can be quite pricey especially if you have long hair that requires a lot for one use! The one I use is such a small bottle so I seem to fly through it super quick, especially with my hair is as long as it is! Making your own sea salt spray at home can save you lots of money in the long run and you can make double (or more!) the amount of the tiny bottles you normally buy. It also works just as good, if not better than something you can buy! You can easily DIY your own sea salt spray and the best part of all is you likely have all the ingredients you need in your cupboards! What does salt water spray do to your hair? Sea salt spray is super popular for creating beachy waves. It can, however, dry out the hair due to the sea salt so be warned and don’t overuse it! I typically only use it once a week but don’t wash my hair for 2 or 3 days after using it. Sea salt spray is great to add some texture and volume to your hair without all the chemicals and it also makes it easier for your hair to hold waves or curls and also braids. So those 2nd and 3rd days after your apply your spray are great for hairstyles like fishtail braids since this will help hold your hair in place. You can make your own sea salt spray in just 3 easy steps using 3 ingredients! You can literally do it in less than 5 minutes. 1. Warm up 1 cup of water. You can choose if you use a microwave or the stove but heat up 1 cup of water. This part is super easy and only takes about 2 minutes. Start warming up your water while you pull out the rest of your ingredients! 2. Add coconut oil and sea salt. 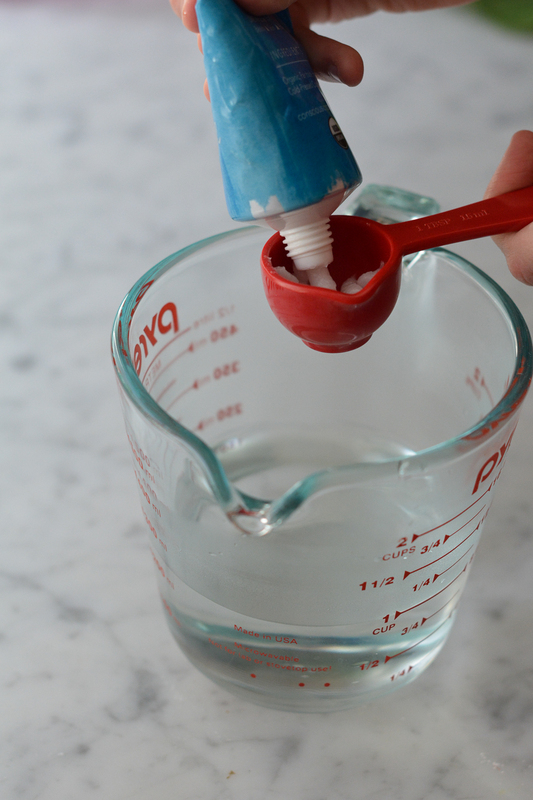 Add in 1 tablespoon of coconut oil and 1 to 2 teaspoon of sea salt to the warm water. 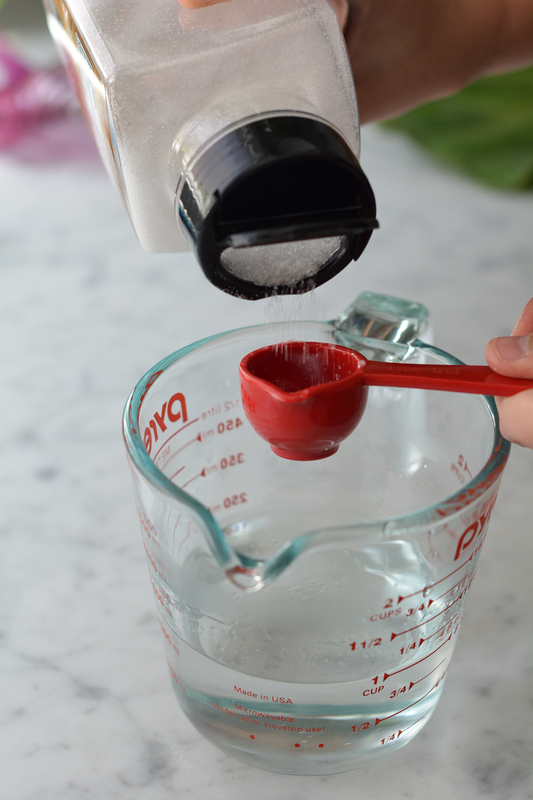 I typically just stir the ingredients together directly in the measuring cup with the water. You could also combine these 2 in a separate bowl while the water is heating. Don’t worry if it’s not exactly perfect! 3. Pour the sea salt spray into your spray bottle. After stirring together the ingredients, carefully pour the sea salt spray into your spray bottle. And there you have it! You’re done! You can add a few drops of essentials oils like lavender which not only encourages hair growth but also reduces stress (yes please! ), rosemary to improve thickness as well as growth or cedar wood to reduce hair loss. You can add some epsom salt as well to increase the amount of texture the spray provides rather than using a texturizing spray to finish. Adding leave-in conditioner will help keep your hair soft if tends to dry out. 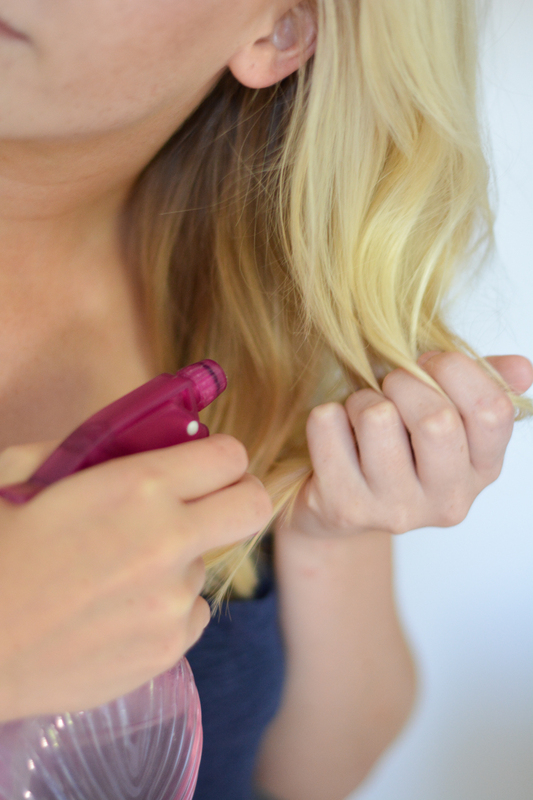 If you add a little bit of pomade or water-based gel, it can help hold your beachy waves in place! Most of the time I use this spray on slightly damp hair and simply scrunch and spray! After my hair is dry, I sometimes curl a few pieces that didn’t get as wavy as I wanted. On occasion, I’ll spray it on and blow dry my hair slightly with a diffuser. That helps to add a bit more volume to my hair as well as the texture and wave that the sea salt provides. This tutorial is literally super easy and such an inexpensive way to make your own sea salt spray! You definitely get more for your money in comparison to the Bumble and Bumble Surf Spray, which costs $27 for a 4 ounce bottle. 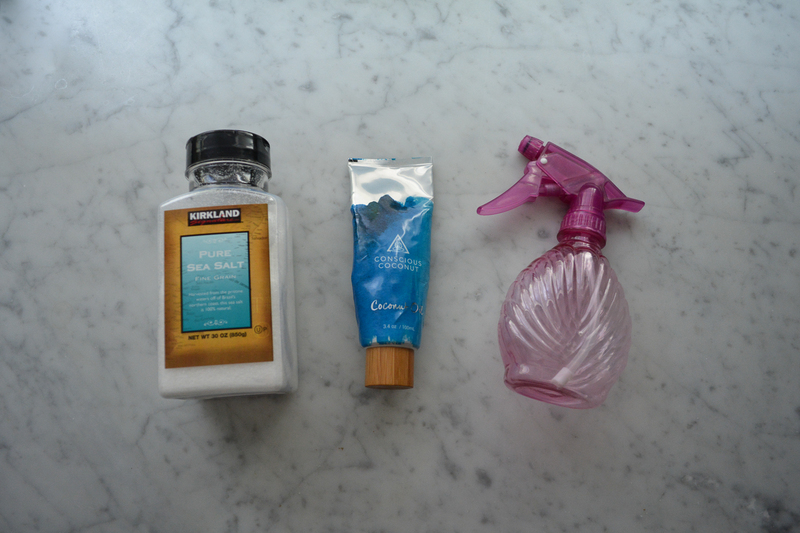 This DIY sea salt spray works well with any hair type and is so easy to make! Let us know what you think of it! If you need more hair tips, be sure to check out How To Use Dry Shampoo – 6 Easy Tips! 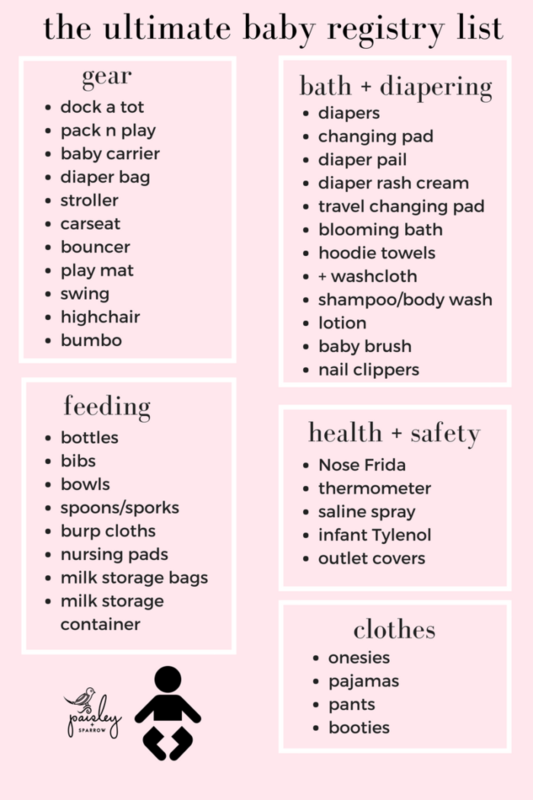 Nice idea and a lot cheaper!